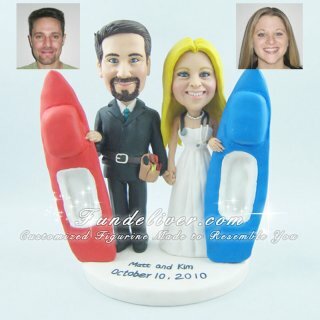 This is a completely customized wedding cake topper ordered by one of our customers. The bride is a nurse and the groom is in an electrician apprenticeship program. She thought it would be neat if they were both wearing their gown and tuxedo, but if the outfits were accessorized with different tools of their trade. For example, she had a stethoscope around her neck, and he had a tool belt around his waist etc. 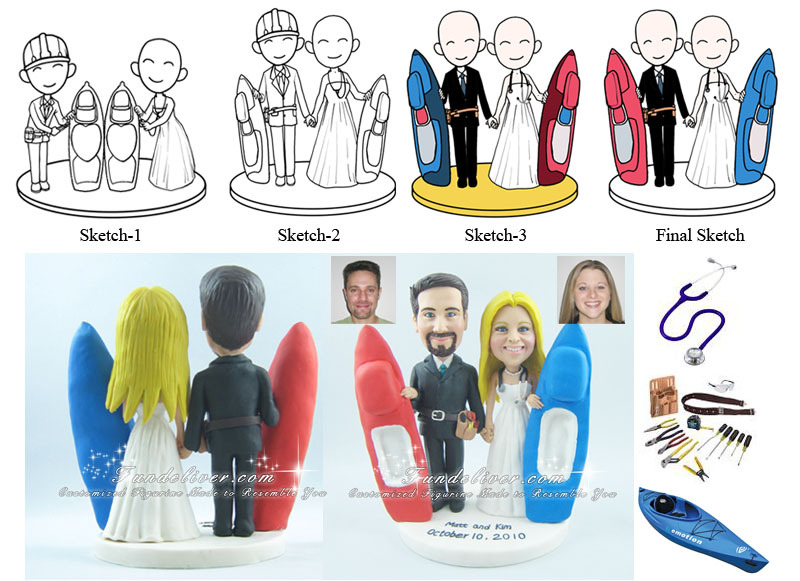 They want to add two kayaks, a blue kayak for her and a red kayak for him. But they haven't decided yet if they are going to be sitting in the kayaks or if the kayaks will be in front of them or standing up straight next to them. So we designed some drafts to help them find the best one they love. Please check images Draft-1 and Draft-2 above to know it better.